A booking is made with us when you pay us a deposit (or full payment if you are booking within 10 weeks of departure) and we issue you with a booking confirmation. We reserve the right to return your deposit and decline to issue a booking confirmation at our absolute discretion. A binding contract will come into existence between you and us as soon as we have issued you with a booking confirmation that will confirm the details of your booking and will be sent to you or your travel agent. If your confirmed arrangements include a flight, we (or if you booked via an authorised agent of ours, that agent) will also issue you with an ATOL Certificate. Upon receipt, if you believe that any details on the ATOL Certificate or booking confirmation or any other document are wrong you must advise us immediately as changes cannot be made later and it may harm your rights if we are not notified of any inaccuracies in any document within ten days of our sending it out (five days for tickets). The balance of the cost of your arrangements (including any applicable surcharge) is due not less than 10 weeks prior to scheduled departure. If we do not receive this balance in full and on time, we reserve the right to treat your booking as cancelled by you in which case the cancellation charges set out in clause 8 below will become payable. We endeavour to ensure that all the information and prices both on our website and in our brochures are accurate, however occasionally changes and errors occur, and we reserve the right to correct prices and other details in such circumstances. You must check the current price and all other details relating to the arrangements that you wish to book before you make your booking. The price of your travel arrangements has been calculated using exchange rates quoted in the “Financial Times” on an ongoing basis in relation to the following currencies: US Dollars and Euros. If you wish to change any part of your booking after our confirmation invoice has been issued, you must inform us in writing as soon as possible. This should be done by the first named person on the booking. Whilst we will do our best to assist, we cannot guarantee that we will be able to meet your requested change. Where we can meet a request, all changes will be subject to payment of an administration fee of £30 per person per change, as well as any costs and charges incurred by us and/or incurred or imposed by any of our suppliers in making this change. You should be aware that these costs could increase the closer to the departure date that changes are made, and you should contact us as soon as possible. Where we are unable to assist you and you do not wish to proceed with the original booking, we will treat this as a cancellation by you. A cancellation fee may be payable in accordance with clause 8. (a)	A change of accommodation area for the whole or a significant part of your time away. (b)	A change of accommodation to that of a lower standard or classification for the whole or a significant part of your time away. (c)	A change of outward departure time or overall length of your arrangements by more than 12 hours. (e)	A significant change to your itinerary, missing out one or more destination entirely. (b)	If we cancel your booking and no alternative arrangements are available. (f)	where we are forced to cancel or change your arrangements due to Force Majeure (see clause 10). We make every effort to ensure that your holiday arrangements run smoothly but if you do have a problem during your holiday, please inform the relevant supplier (e.g. your hotelier) immediately who will endeavour to put things right. If your complaint is not resolved locally, please contact our resort representative or local agent immediately or email us at sales@discoveregypt.co.uk or telephone us on +44 207 089 1798. If the problem cannot be resolved and you wish to complain further, you must send formal written notice of your complaint to our Customer Services Department at Parker House, Tan Yard Lane, Bexley, DA5 1AH within 28 days of the end of your stay, giving your booking reference and all other relevant information. Please keep your letter concise and to the point. This will assist us to quickly identify your concerns and speed up our response to you. Failure to follow the procedure set out in this clause may affect ours and the applicable supplier’s ability to investigate your complaint and will affect your rights under this contract. All our customers are expected to conduct themselves in an orderly and acceptable manner and not to disrupt the enjoyment of others. If in our opinion or in the opinion of any hotel manager or any other person in authority, your behaviour or that of any member of your party is causing or is likely to cause distress, danger or annoyance to any other customers or any third party, or damage to property, or to cause a delay or diversion to transportation, we reserve the right to terminate your booking with us immediately. In the event of such termination our liability to you and/or your party will cease and you and/or your party will be required to leave your accommodation or other arrangements immediately. We will have no further obligations to you and/or your party. No refunds for lost accommodation or any other arrangements will be made, and we will not pay any expenses or costs incurred as a result of termination. You and/or your party may also be required to pay for loss and/or damage caused by your actions, and we will hold you and each member of your party jointly and individually liable for any damage or losses caused by you or any member of your party. Full payment for any such damage or losses must be paid directly to the hotel manager or other supplier prior to departure. If you fail to make payment, you will be responsible for meeting any claims (including legal costs) subsequently made against us as a result of your actions together with all costs we incur in pursuing any claim against you. (1)	We will accept responsibility for the arrangements we agree to provide or arrange for you as an “organiser” under the Package Travel and Linked Travel Arrangements Regulations 2018, as set out below and as such, we are responsible for the proper provision of all travel services included in your package, as set out in your confirmation invoice. 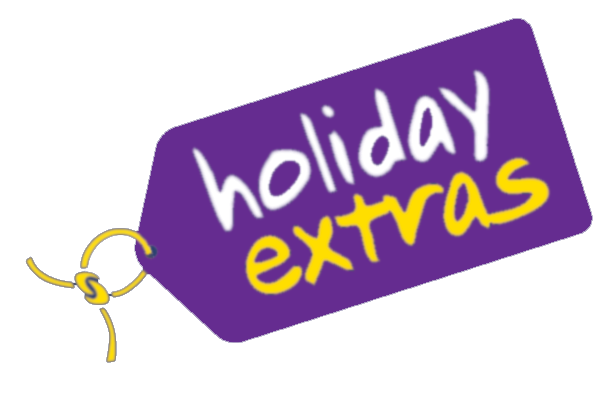 Subject to these Booking Conditions, if we or our suppliers negligently perform or arrange those services and we don’t remedy or resolve your complaint within a reasonable period of time, and this has affected the enjoyment of your package holiday you may be entitled to an appropriate price reduction or compensation or both. You must inform us without undue delay of any failure to perform or improper performance of the travel services included in this package. The level of any such price reduction or compensation will be calculated taking into consideration all relevant factors such as but not limited to: following the complaints procedure as described in these Booking Conditions and the extent to which ours or our employees’ or suppliers’ negligence affected the overall enjoyment of your holiday. Please note that it is your responsibility to show that we or our supplier(s) have been negligent if you wish to make a claim against us. (c)	Force Majeure (as defined in clause 10). (4)	It is a condition of our acceptance of liability under this clause that you notify any claim to us and our supplier(s) strictly in accordance with the complaints procedure set out in these conditions. (5)	Where any payment is made, the person(s) receiving it (and their parent or guardian if under 18 years) must also assign to us or our insurers any rights they may have to pursue any third party and must provide ourselves and our insurers with all assistance we may reasonably require. (7)	We will not accept responsibility for services or facilities which do not form part of our agreement or where they are not advertised in our brochure. For example, any excursion you book whilst away, or any service or facility which your hotel or any other supplier agrees to provide for you. (8)	Where it is impossible for you to return to your departure point as per the agreed return date of your package, due to “unavoidable and extraordinary circumstances”, we shall provide you with any necessary accommodation (where possible, of a comparable standard) for a period not exceeding three nights per person. Please note that the 3-night cap does not apply to persons with reduced mobility, pregnant women or unaccompanied minors, nor to persons needing specific medical assistance, provided we have been notified of these particular needs at least 48 hours before the start of your holiday. For the purposes of this clause, “unavoidable and extraordinary circumstances” mean warfare, acts of terrorism, significant risks to human health such as the outbreak of serious disease at the travel destination or natural disasters such as floods, earthquakes or weather conditions which make it impossible to travel safely back to your departure point. We provide financial security for flight-inclusive packages and ATOL protected flights by way of our Air Travel Organiser’s Licence number 11223., issued by the Civil Aviation Authority, Gatwick Airport South, West Sussex, RH6 0YR, UK, telephone 0333 103 6350, email: claims@caa.co.uk. Special conditions apply for travel to the USA, and all passengers must have individual machine-readable passports. Please check https://uk.usembassy.gov. For European holidays you should obtain a completed and issued form EHIC prior to departure. If, whilst you are on holiday, you find yourself in difficulty for any reason, we will offer you such prompt assistance as is appropriate in the circumstances. In particular, we will provide you with appropriate information on health services, local authorities and consular assistance, and assistance with distance communications and finding alternative travel arrangements. Where you require assistance, which is not owing to any failure by us, our employees or sub-contractors we will not be liable for the costs of any alternative travel arrangements or other such assistance you require. Any supplier, airline or other transport supplier may however pay for or provide refreshments and/or appropriate accommodation and you should make a claim directly to them. Subject to the other terms of these Booking Conditions, we will not be liable for any costs, fees or charges you incur in the above circumstances, if you fail to obtain our prior authorisation before making your own travel arrangements. Furthermore, we reserve the right to charge you a fee for our assistance in the event that the difficulty is caused intentionally by you or a member of your party, or otherwise through your or your party’s negligence. If you or any member of your party misses your flight or other transport arrangement, it is cancelled or you are subject to a delay of over 3 hours for any reason, you must contact us, and the airline or other transport supplier concerned immediately. This brochure is our responsibility, as your tour operator. It is not issued on behalf of and does not commit the airlines mentioned herein or any airline whose services are used in the course of your travel arrangements. We are a Member of ABTA, membership number Y6386. We are obliged to maintain a high standard of service to you by ABTA’s Code of Conduct. We can also offer you ABTA’s scheme for the resolution of disputes which is approved by the Chartered Trading Standards Institute. If we can’t resolve your complaint, go to www.abta.com to use ABTA’s simple procedure. Further information on the Code and ABTA’s assistance in resolving disputes can be found on www.abta.com.